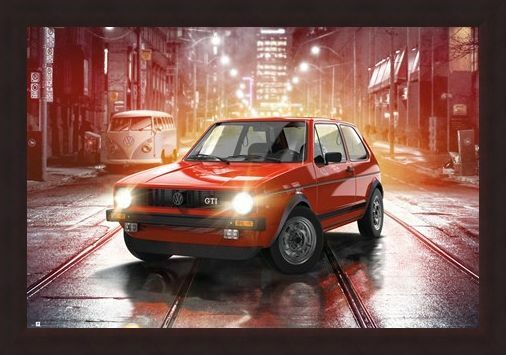 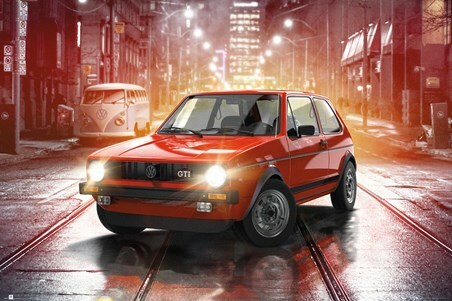 The original European hot hatch is here...for your wall! The vehicle's iconic shape, painted in a fiery formula one red makes this classic 'boys toy' even more striking - a full forty years after it was released into the world! Hunkered down on a wet roadway, flanked to the left by the Golf's bigger brother - the Type 2 'hippie' van - the artist's impression makes us believe this quicker, sportier model is about to take over the reins. 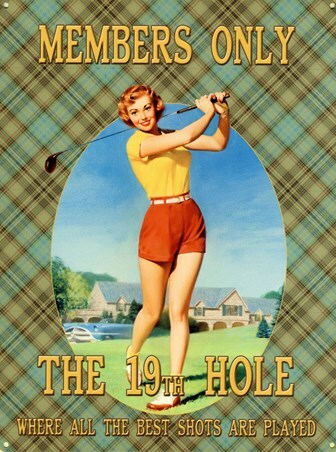 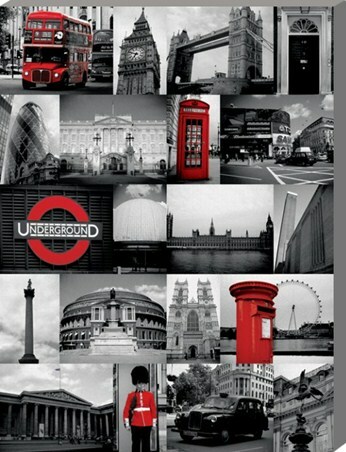 Show the world your classic car love affair with this maxi poster! 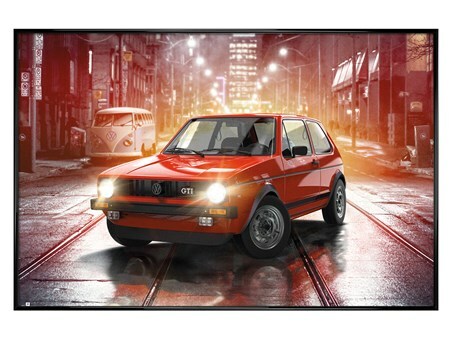 High quality, framed Iconic MK1, VW Golf GTI poster with a bespoke frame by our custom framing service.